Dr. Maria Shahdad, the first of the three children spent years in Frisco, TX before moving to New York to realize her career in dental medicine. In 2007, she graduated from the nationally acclaimed School of Dental Medicine at the State University of New York at Stony Brook. Dr. Shahdad absolutely believes that continuing education in the ever-changing field of dentistry is essential in order to fulfill her vision of providing her patients with the exceptional care they deserve. As such, she received advanced dental general practice residency training at the prestigious Columbia University in New York. 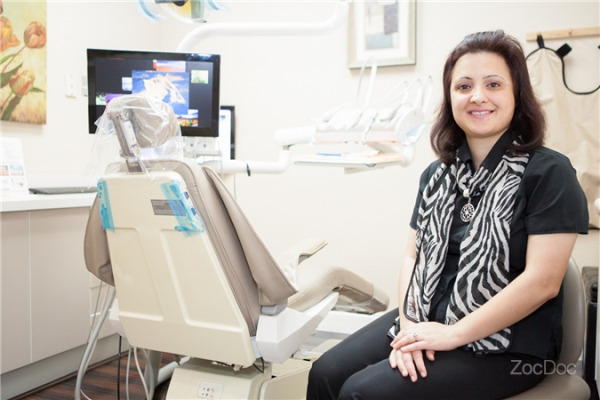 Along with being an active member of the American Dental Association (ADA), the Texas Dental Association (TDA), and the North Dallas Dental Society, Dr. Shahdad dedicates a substantial amount of time each year to furthering her education. She is an exceptional dentist whose clinical expertise and warm personality go hand in hand to provide you with outstanding quality and care in General, Cosmetic, Invisalign and Implant dentistry. For last 5 years, Dr. Shahdad has devoted herself to giving each patient a personalized approach to their concerns in an atmosphere of maximum comfort and care. Her innovative dental techniques paired with an artistic eye and affinity for perfectionism ensures beautiful and natural smiles for her patients. At Dr. Shahdad’s office, great emphasis is placed on detail, aesthetics, a natural result, a caring team, and a comfortable practice environment. Specifically experienced with cosmetic dentistry, pediatrics, root canals, prosthodontics, fillings & extractions and emergency care. California and Texas State Dental License (since 2008). Also fluent in Hindi, Urdu, Punjabi and Kashmiri. 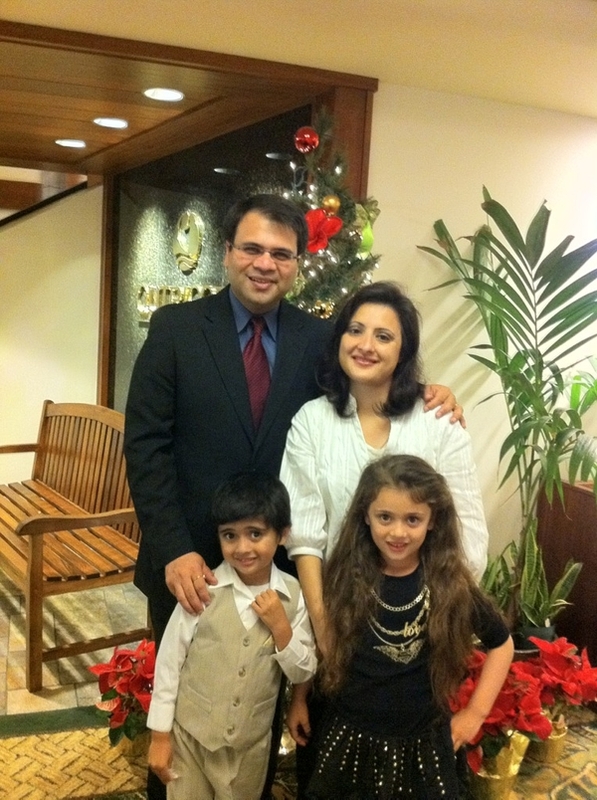 You will enjoy meeting Dr. Shahdad, her husband Yunis and her two children Ayaan and Reeha.